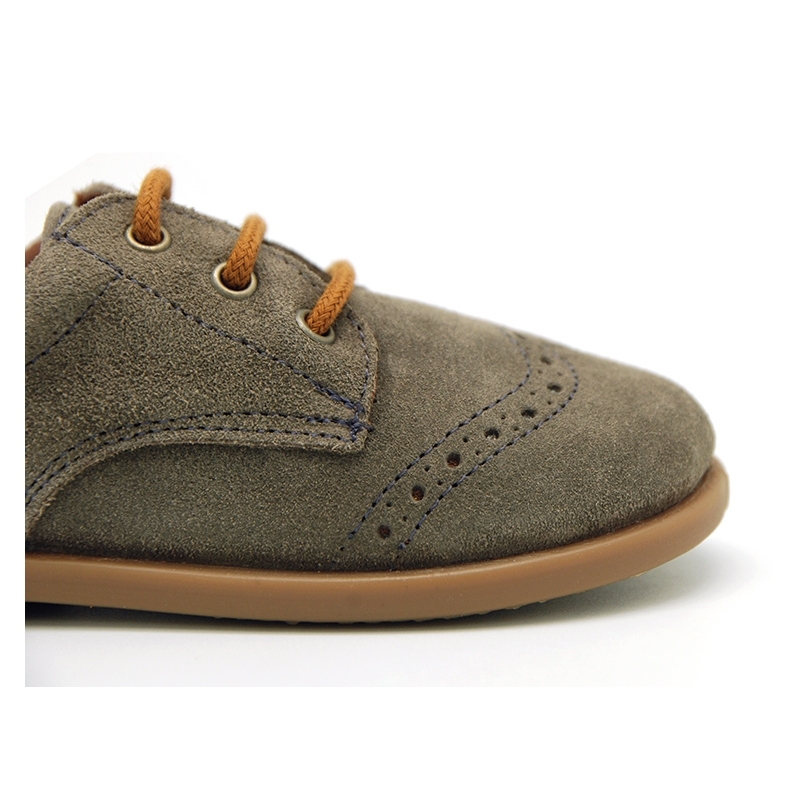 Okaaspain, tienda online de zapatos blucher en piel serraje con cordones y picados para otoño. 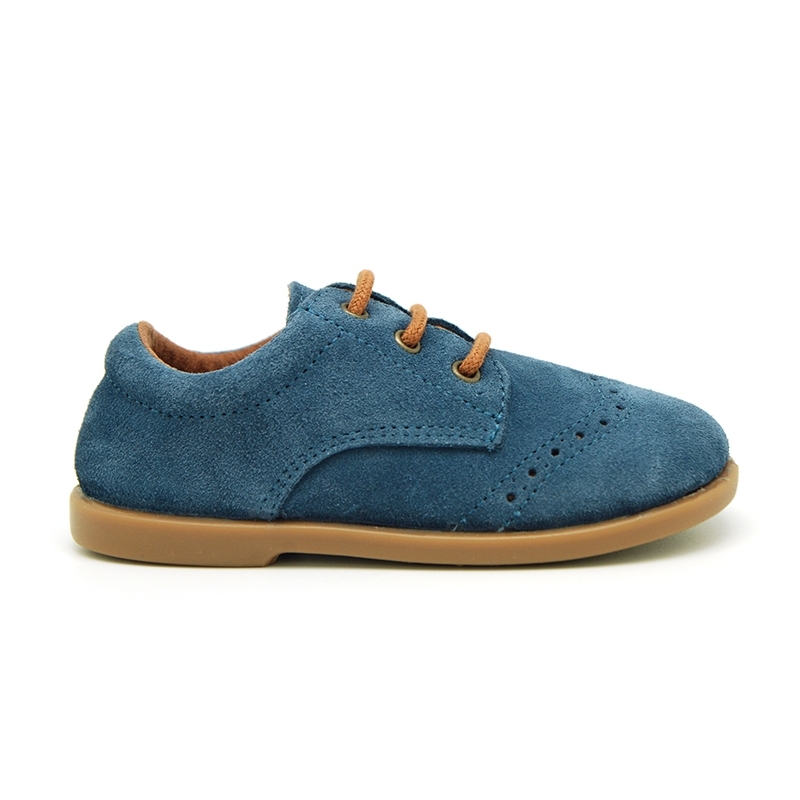 > First Steps>English & Blucher Shoes>Classic suede leather Laces up shoes with perforated design for autumn. Classic suede leather Laces up shoes with perforated design for autumn. 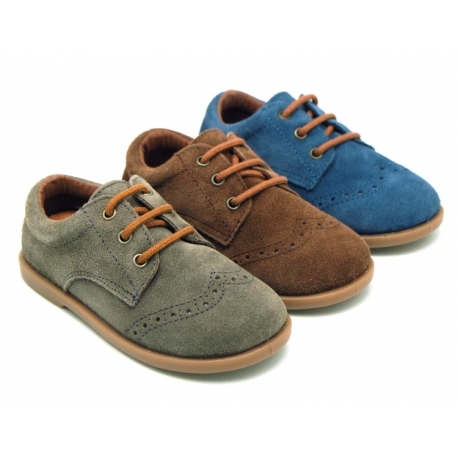 Classic suede leather Laces up shoes for autumn-winter with perforated design for little kids. FLEXIBLE SOLES. 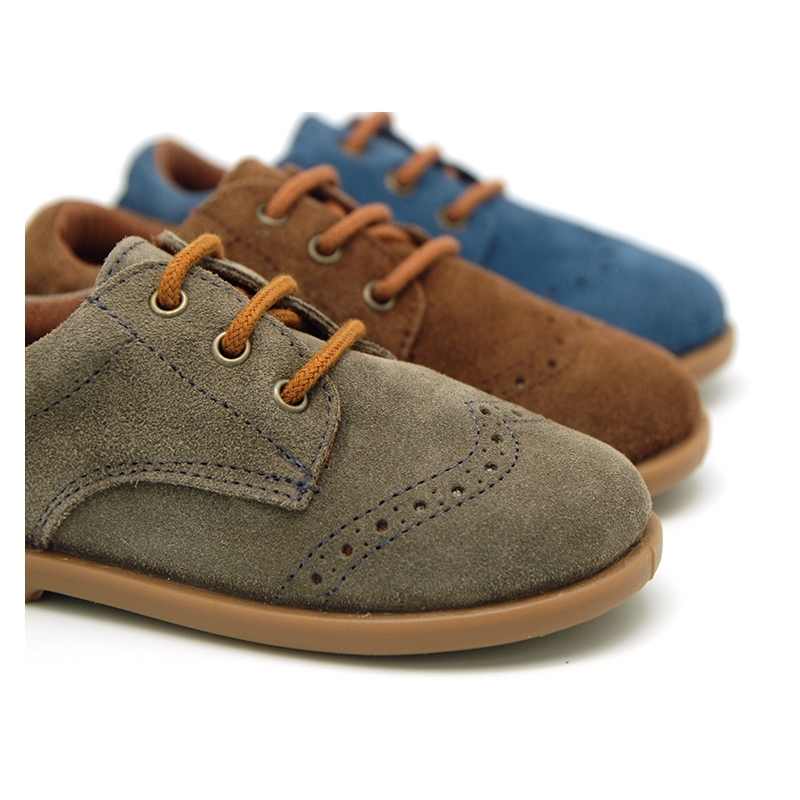 More info about Classic suede leather Laces up shoes with perforated design for autumn. 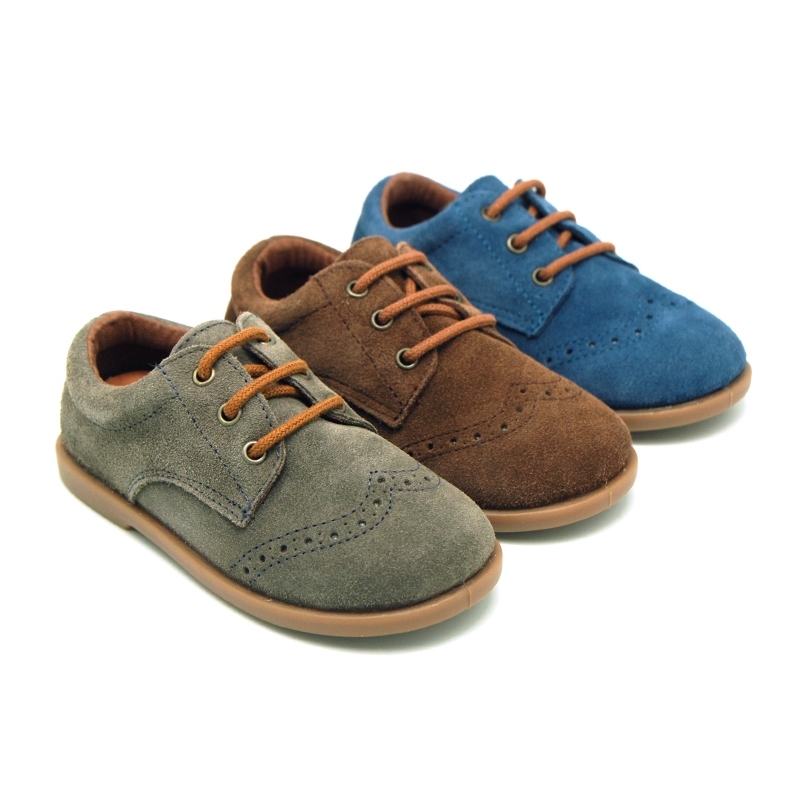 Classic Blucher or laces up style shoes for autumn-winter with caramel color flexible soles, perforated design and ties closure in suede leather for little kids. 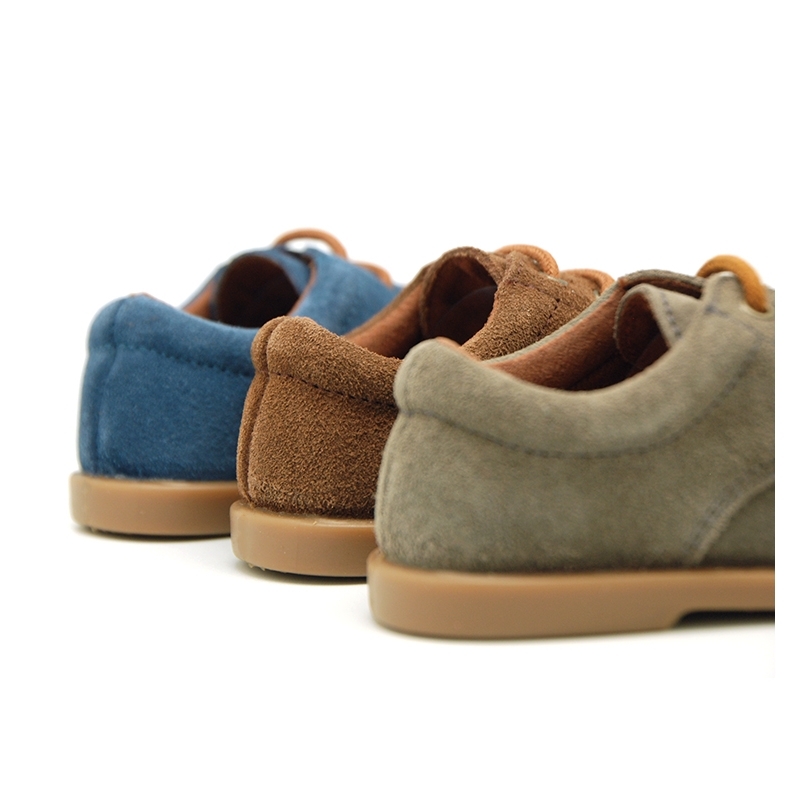 Made up of 100% High quality natual suede leather. Really smart to dress in special occasions or day to day this autumn-winter!. 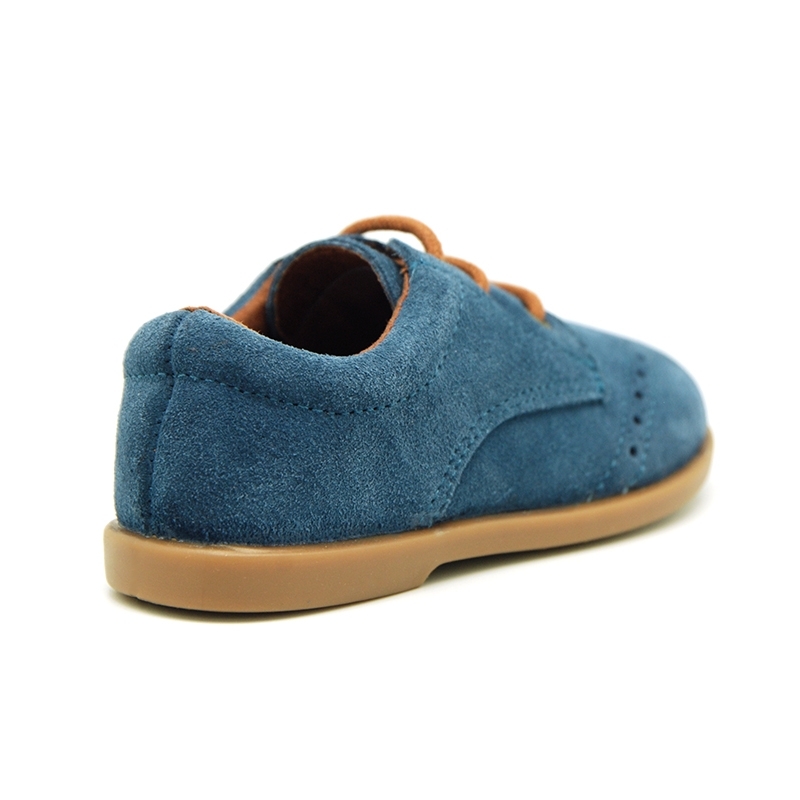 ItÂ´s an updated classic model, of the classic model but lighest and softer for little kids. With shoelaces closure for a better grip. With FLEXIBLE SOLES in caramel color, very trendy this season in all lkids collections. 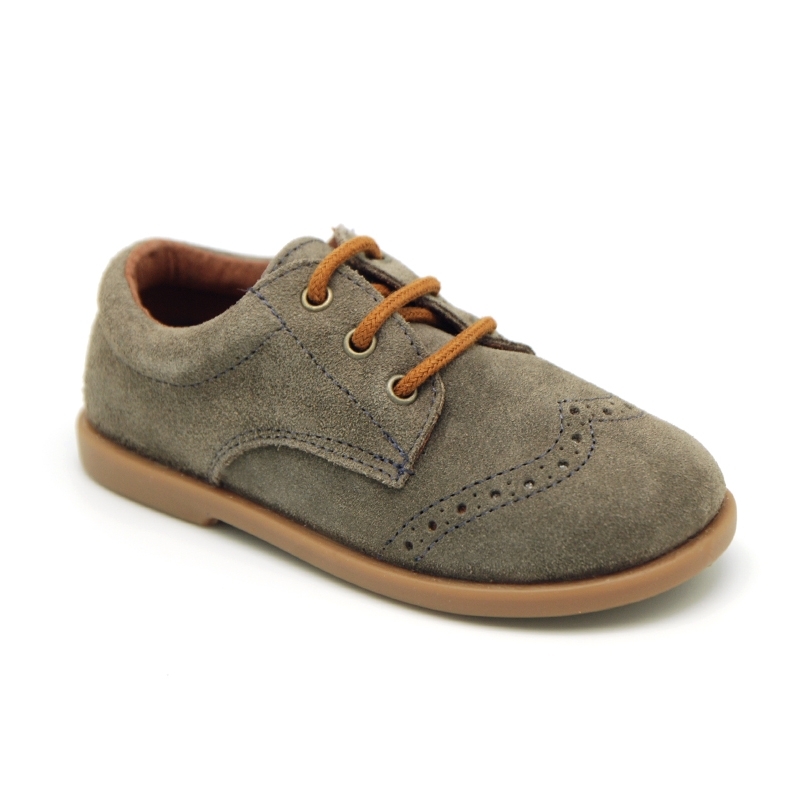 ItÂ´s a perfect model for little kids for the lightest and flexibility. Available in 3 colors. Sizes range: from 19 Euro size up to 32 Euro size for all brothers. SIZING REGULAR. 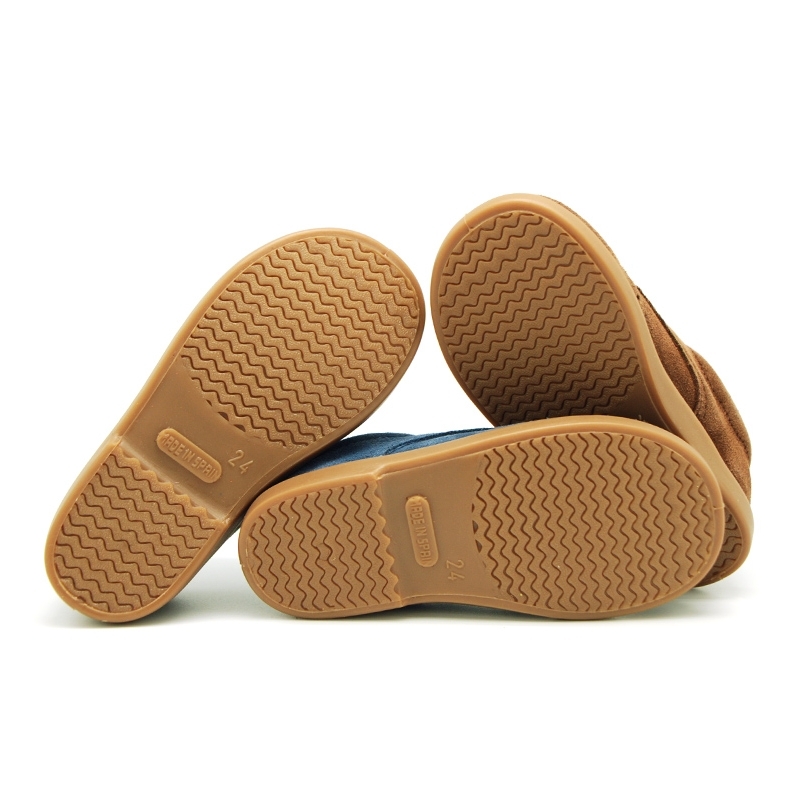 Data sheet about Classic suede leather Laces up shoes with perforated design for autumn.